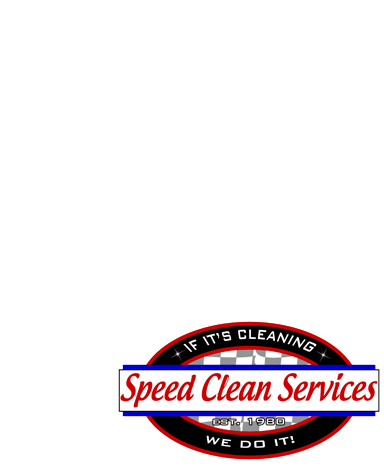 Speed Clean Services - "If It's Cleaning... We Do It!" What's Possible with Speed Clean Services? We have been cleaning carpet and upholstery for over 33 years and have perfected the service. We have service packages to meet any budget or need. Cleaning Tile & Grout on your hands and knees can be hard. Allow us to come and turbo clean your floor. You won't believe the difference we can make on your floors. Our professional Detailing center can make any vehicle look like new. We detail Automobiles, Watercrafts, Motorcycles, Recreational Vehicles and Air Crafts. When keeping up with the dust in your home it may feel like a loosing battle. It's probably time for an air duct cleaning. It will also help with indoor air quality to put allergy suffers at ease. When emergencies happen time is of the essence. We staff emergency response teams 24/7 and are ready to respond to damages from Water, Sewage, Fire, Smoke, Biohazard or Vandalism. If you have the knowledge we have the power. We stock state of the art drying & restoration equipment to get you back to normal faster. Whether you are a homeowner or contractor you have come to the right place. Big homes, small homes, homes with pet & kids, We know you want to relax at home. So we will do the cleaning so you don't have to. Looking for great trustworthy services professionals at reasonable prices? You have come to the right place! Getting ready for an important walk through? We can help take some of the load off your shoulders! We know the stress involved in the insurance game. We will walk you through it so that you are confident everything will be right again. Dependability is key when managing property. We make sure you never have to worry! You don't want to take risk during health inspections. We make sure it is done right the first time. You need to concentrate on your next project. Let us clean up so you can do what you do best. 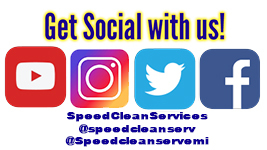 Hello I am Rachelle Neumann, President of Speed Clean Services. I wanted to thank you for your interest in our services. Here at Speed Clean we are committed to delivering the exact services our customers want. We listen closely to your expectations, taking a pro-active approach in defining your needs in order to build the best possible relationship with you. We have been doing just that with our customers since 1980. With more than 130 companies to choose from in the Metro Detroit area, we suggest that you examine 3 criteria in making your selection: Equipment, Training and Service. Equipment - Our service vehicles, pictured to the side, are $90,000 state of the art cleaning machines. The vacuum blower, essential to drying your carpet, is powered by a 650 horsepower engine. Most carpet cleaning vacuums are run by 20 horsepower engines. The difference in drying time and cleanliness is astounding. Training - We have been a certified firm with the Institute of Cleaning and Restoration Certification (IICRC) since 1983. Look up our qualifications online at www.iicrc.org and see our long list of certifications. Also note, how very few companies in our area are certified or carry as many as we do. Service - Our customer service representative calls every customer a couple of days after each job to be sure of 100% satisfaction. If not, we book an appointment immediately at no charge where we will come back to fix any problem. We also have a tremendous guarantee in that any spot or stain that we remove, if it ever returns, we will come back to remove it at no charge. Since1980 Speed Clean Service has been cleaning homes and businesses in a" very special way," explains Rachelle Neumann, President. Every one of our customers get the royal treatment beginning with the initial phone call to the end result. 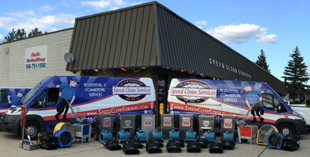 Our service consists of several types of cleaning operations, like professional truck-mounted steam cleaning of carpeting and upholstery, emergency water extraction, Auto Detailing, tile cleaning, window treatment cleaning, pressure washing, floor scrubbing and refinishing, wall washing and more… Speed Clean Service goes the extra mile for their customers because they want to keep their loyal strong customer base.